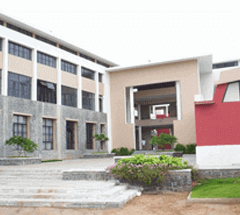 SREC is the best placement college in Telangana with 100% placement record. With seamless advantage of campus recruitment, SREC ties up with multinationals and best of companies to give you guaranteed careerism pathway. With increased selection ratio from our college, more students wish to become a part of SREC every year. We help you to choose amongst several companies that pamper your skills correctly. Our back to back campus recruitment opportunities keep you relaxed and Agile on the same time. You can determine what kind of selection you want and SREC job placements will definitely arranging it for you. We produce fresh talent every year for serving the best of Organizations in India and abroad. Quite a lot of job market depends upon young talent. Therefore, we make sure that the young graduates we produce become a part of reputed company for serving the nation and adding on to overall GDP. On campus recruitment encounters the struggle of job seeking after completing the engineering Course work. Subordinate to interview sessions and proper trainings, SREC gives wings to your career. The best placement college in Telangana helps you to become independent and get the best out of the money spent. We train our students in a way to match up with the requirements of Top Notch multinationals. Our personality development programs, special classes and introduction with mock interview session make sure that your hand for best job ends at SREC college placement. Conducting job interviews with several companies ensure that you have more than one job proposal at your disposal. This helps you to choose a deserving job for a better peace of mind and career prospect. We develop quick learning skills, communication abilities and positive attitude for a better tomorrow. Henceforth, SREC is indeed the topmost engineering college for campus placements. 500 + systems in single LAN with 75 MB internet connectivity. 6 Seminar Halls accommodating 500, 250, 120 students. Students from first year onwards are given summer training in domain specific technology. Boot camps are organized keeping in mind the existing and expected job opportunities. The placement of students is a strategic activity at SREC and all the trainings offered are towards the same.